Vibranium versus vibranium! 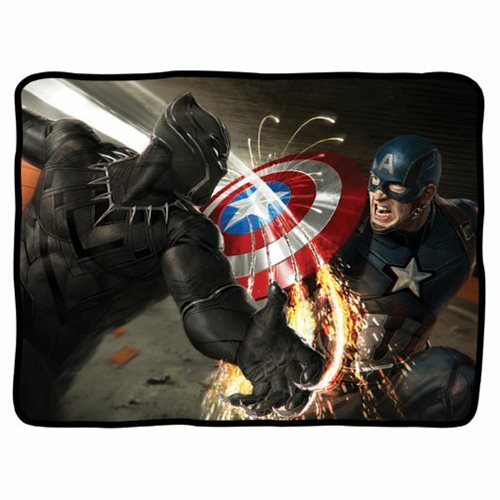 It's Cap versus the Black Panther on this Civil War Fleece Blanket. Perfect for fans of Marvel's Captain America: Civil War! Measures 60-inches tall x 45-inches wide. Ages 13 and up.